Kenya to access EU market duty-free after agreement (file photo). Since October 1, Kenya has lost its free access to the European market due to the East African Community (EAC) failing to negotiate a free trade deal with the European Union (EU). Two-thirds of Kenyan exports are facing fresh tariffs, ranging from four percent to 24 percent. It is serious cause for concern, as thousands jobs are under threat. The EAC has been negotiating a free trade agreement with the EU for more than 10 years, but it has so far failed to seal a deal on an Economic Partnership Agreement (EPA). Kenya is now paying the price for it. This comes during an ironic coincidence, Kenya has just been reclassified as a middle-income country following new statistics showing that its economy is 25 percent bigger than previously assessed. Following an unsatisfactory deal reached at the end of 2007, the whole of the EAC, as well as 32 other African, Caribbean and Pacific (ACP) countries, were granted duty-free, quota-free access to the EU market after concluding an interim EPA. This was under the condition that they sign and ratify “within a reasonable period of time” the agreement concluded. But EAC countries did not. Instead, they continued negotiating with the EU on how to improve their EPA. This all makes good sense. Why endorse a bad agreement if it can be improved? All trade negotiations are about power games. The EAC stood its ground and took its time to negotiate. So did other African regions. In 2013, the EU lost its patience and decided to flex its muscles: all the countries that had not fully endorsed by October 1 the interim deals concluded in 2007 would be excluded from the EPA-related free access to the EU. This prompted Cameroon to ratify and Fiji to implement their interim EPA in July 2014. Others opted, at the same time, to conclude new regional EPAs: West Africa and Southern Africa concluded the negotiations in July this year. But EAC and EU negotiations failed to make sufficient progress to reach an agreement. EAC-EU negotiations made some good progress until this spring, but some key sticking points remain. These include: export taxes, relations with the Cotonou agreement (the non-execution clause, related to human and political rights), EU domestic support in agriculture, good governance on tax matters, and the “Turkey clause” (related to the extension of tariff concessions granted to the EU to Turkey and Andorra). These issues have been there for years. And there have been plenty of opportunities and time to address them, should the political will and flexibility on both sides have prevailed, as as happened in other regions. The hectic, and often confusing, situation of the last few days has shown that some trade negotiators were ill prepared. However, the EAC countries are well advised to resist time pressure and refuse to conclude a deal with the EU until they are satisfied with the terms of the agreement. What's the impact for Kenya? Kenya has lost its free market access to the EU, and is not exporting under the less preferential EU General System of Preferences (GSP). This will have some serious impact. 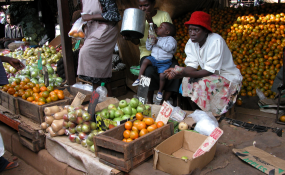 Most recent statistics show that over 20 percent of Kenya exports, worth some €1 billion in 2013, go to the EU, three quarters of which are vegetable products, and another 10 percent of which are foodstuffs, beverages and tobacco. According to the Kenya Association of Manufacturers, two-third of Kenyan's exports to the EU are facing new duties under the EU GSP, ranging from four percent to 24 percent, amounting to about €5.7 million (Sh637 million) per month in customs duties. The most affected products are cut flowers (8.5% duties), processed vegetable and fruits (over 15 percent), fish (6 percent) and pineapple and other fruit juices (11.7 percent). This will disrupt traditional supply chains and threatens to costs thousands of jobs, mainly in the horticulture sector, in Kenya. The EAC is continuing negotiations with the EU. The EAC has reached an internal common position on how they would like to reach an agreement with the EU, but has yet to meet with the European Commission negotiators. So no deal is reached yet. Depending on the respective positions, an agreement could be found soon. If an EU-EAC EPA deal is concluded, then the European Commission will again grant free market access to all exports from Kenya. However, the internal legal procedural process in the EU requires about eight weeks to bring Kenya (and the other EAC countries) back under EPA duty-free quota-free preferences. That is, until December if all goes well. In the meantime, not only are many Kenyan exports are facing higher import duties to the EU, but also the prolonged uncertainty over the future trade regime further undermines business prospects. As for other EAC countries such as Burundi, Rwanda, Tanzania and Uganda, they can benefit from the free market access to the EU under the “Everything-But-Arms initiative” initiative available to all least-developed countries. Following the conclusion of an EPA deal, all parties will then have to sign the agreement, and then start the ratification process. The EAC-EU EPA will become effective only once the agreement is ratified, or provisionally applied (in the EU, a free trade agreement can be provisionally applied before it is fully ratified). Only once the EPA begins to be implemented will the EAC countries have to start gradually to dismantle their tariffs on 80 percent of the products they import from the EU (based on the EAC common external tariff). Kenya and its EAC partners should think twice before concluding, or rejecting a deal on EPA. In doing so, they must keep their focus on their longer term strategic objectives. But they need to think fast! San Bilal is from the European Centre for Development Policy Management.